Health advocates using the beautiful quarter mile walking path at our wonderful Skyline R2 School should be careful. 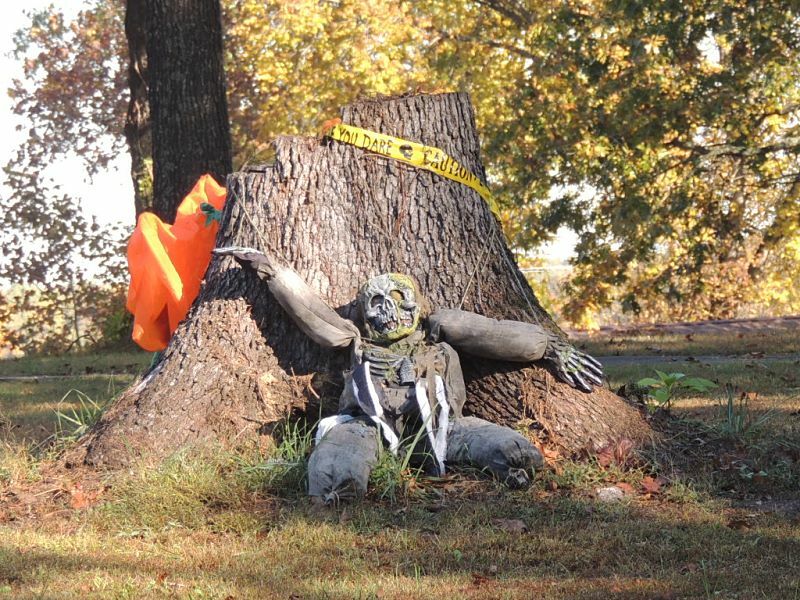 Stationed, as if by plan, along the route are ghost, goblins and ghouls, as well as witches, spider webs and other spooky things. By Friday it will likely be safe again. Not that it is really unsafe now, but it is indeed spookily symbolic of Halloween. The architects of these apparitions are to be commended for their artistry. The trail is not so unnerving during broad daylight and, truly, it is a lovely walk. It was a project by the Douglas County Health Department several years ago and it has been a real boon to the whole neighborhood, as well as providing a good exercise facility for the students. The pre-kindergarten students, the first and second graders were able to raise $265.00 for their trip to The Wonders of Wildlife next spring. Lauren Collins was the winner of the Fall Basket they had put together and Linda Kutz won the beautiful autumn wreath that Helen Batten had made and donated to the cause. They may put another raffle together before Christmas, because they have a long way to go to cover the expense of the trip. It will be a chance for the whole community to step up to support the kids who will be running things in a few short years. 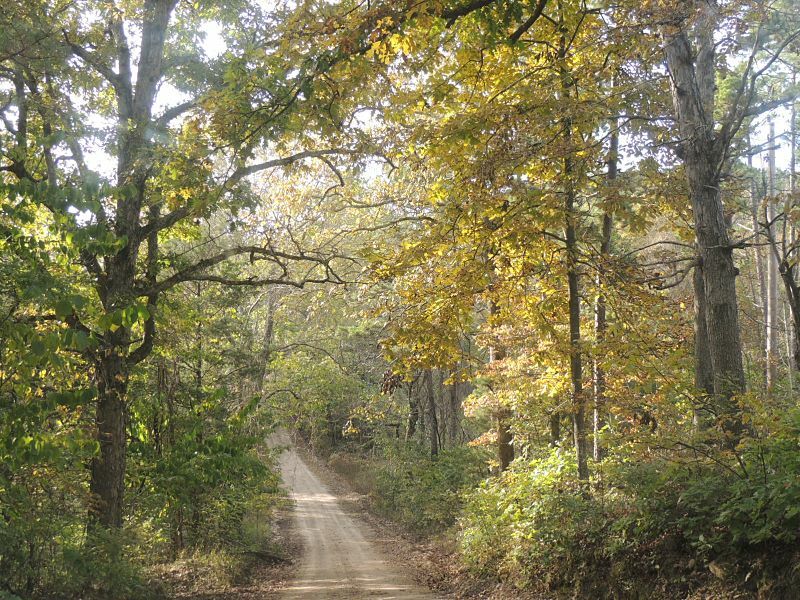 A sojourner through the wilds of Booger County, awed by the glory of the foliage, said, “Last year it turned from green to brown overnight. 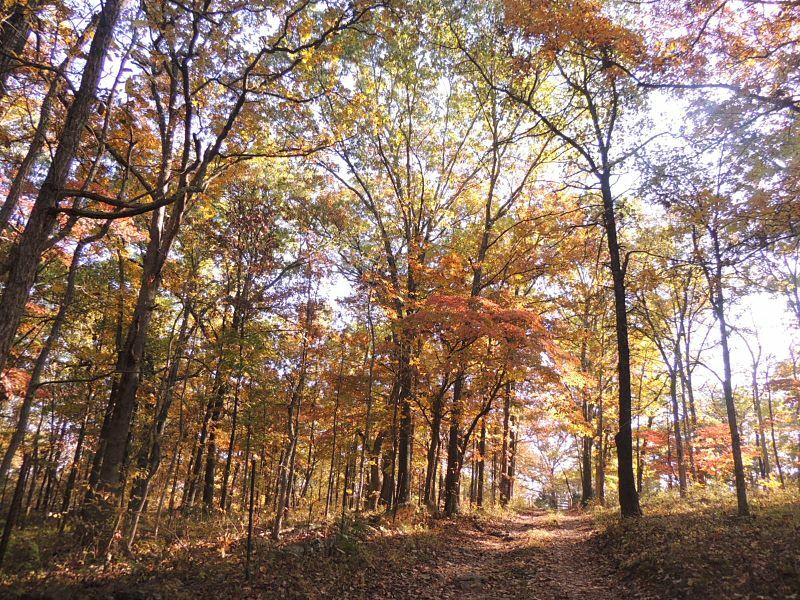 This year we have color!” The internet is flushed with fantastic photographs of fall verdure. Travelers just from here to there have to allot more time so they can stop for photo opportunities or just to gawk. This week has been spectacular and will likely be remembered as the peak of autumnal splendor. Is it the prettiest fall you have ever seen here? How do we judge memories against our current experience? 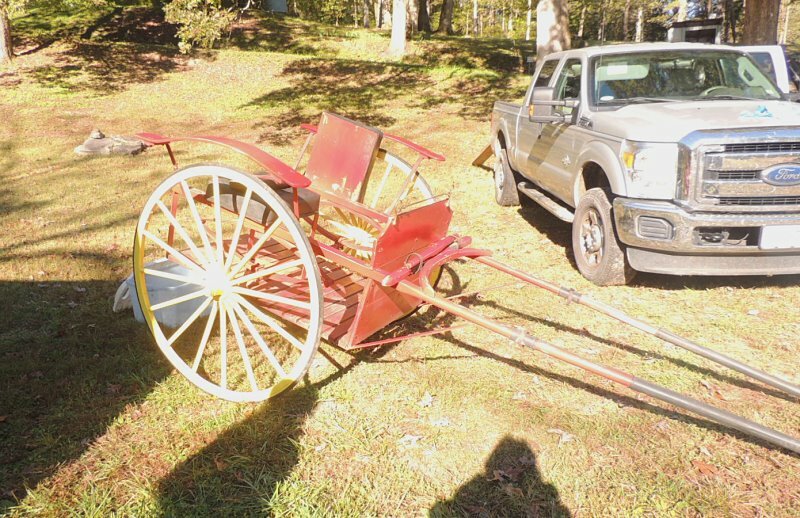 One old Champion says it is the prettiest fall she can remember. The rains and frosts have come at just the right intervals. Linda Clark said that she had an appointment in Springfield on Monday afternoon, “…and I must say I really enjoyed the drive up and back. 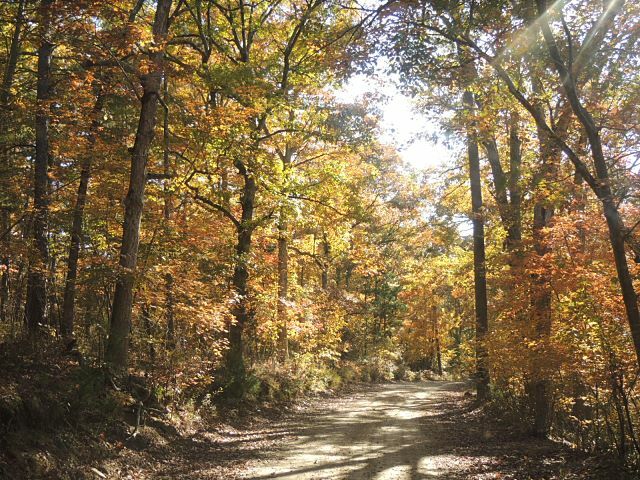 The trees are absolutely beautiful.” She admonishes us to get out and take a drive if we can. 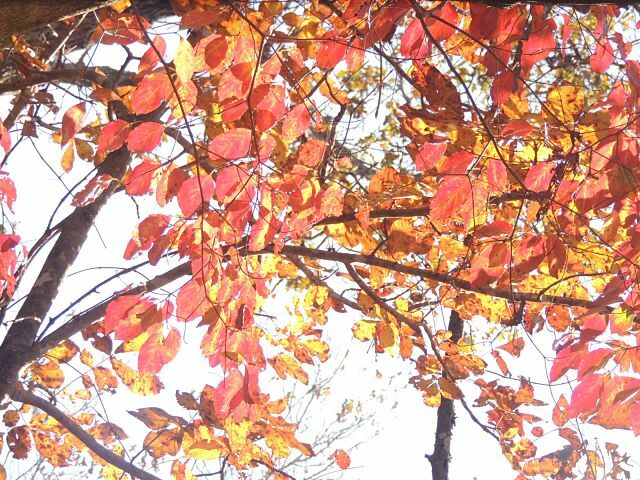 “This is the prettiest fall foliage we’ve had in a few years.” Linda has triplet grandchildren, so she must know three times wonderful stuff as the rest of us. Trish Davis has twin grandchildren, as does Reba Bishop. They must be twice as informed as the rest of us. Grandmothers are cool. 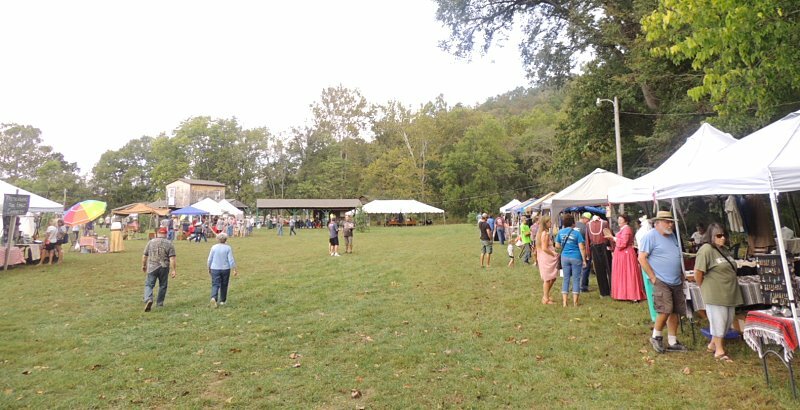 Our recent Pioneer Heritage Festival of the Ozarks was the second year for this affair. It was inspired by the 15 year history of the Pioneer Descendant’s Gathering that Dale and Betty Thomas hosted down at Yates—at the Edge of the World. We remember that one as having been a great event and this new one has a great future before it. As we learned about many of the various skills our ancestors had to employ in order to survive and thrive, the question occurs: Why did our people decide to settle here? Many just moved west from Appalachia because it had become crowded there or because of the egregious whiskey tax or maybe just for a fresh start after the terrible war. How did our people’s predecessors wind up in Appalachia to start with? Where did they come from and when did they get here? If they came from Europe, they probably came because it was crowded there, or they suffered religious persecution, or there were epidemics or lack of opportunity. The Colonies, and then America, and then the USA offered safety and a chance for a better life. There are reports that some new history books euphemistically say that the people who were here already, the indigenous people, just moved west to give the newcomers room. The renowned Native American song writer, Buffy Sainte-Marie incongruously writes, “I am proud. I am proud. I am proud of my forefathers and I say they built this country. And they came from far away to a land they didn’t know, the same way you do, my friend. So, Welcome, Welcome Emigrante, to the country that I love.” She also wrote a powerful piece called, “Now That the Buffalo’s Gone.” In these particularly odd times, we just have to figure out what we believe and do the best we can at the ballot box. In this part of the world there will have been great family gatherings with costumes, and feasting and fun for Halloween and great quantities of candy consumed by little trick or treaters. The internet revealed some particularly jovial activity over in Vanzant. Over in Scotland, high on Caultin Hill, the ancient Celtic festival of Samhain occurs on October 31st with a pageant that depicts the death of summer at the hand of winter. In these parts, we just enjoy every day as it comes along–Champion!—Looking on the Bright Side! Joe Hamby, Wilma Hamby, Chelsea Essary, Bill Winkelman on Cookie, Bill Brunner on Sugar, Larry Ratteree on Jessie, Jennifer Wolf on Peaches, Beth McElvain on Vivo, Ross McElvain on Gib, Hershel Letsinger on Duke, Jim McCoughlin on Gemmy, Don Hamby on Buck, Calvin Chamberlin on Missouri Jazz, Megan Carter on Gandalf, Nan Gonzales on Tenacity, Danny Richardson on Ribbon, Terry Wilson on Ty, Jeff Alcorn and Andrew Harden. Not shown are Kate and Steve Assenmacher, who traveled in their Meadowbrook cart pulled by Donald. 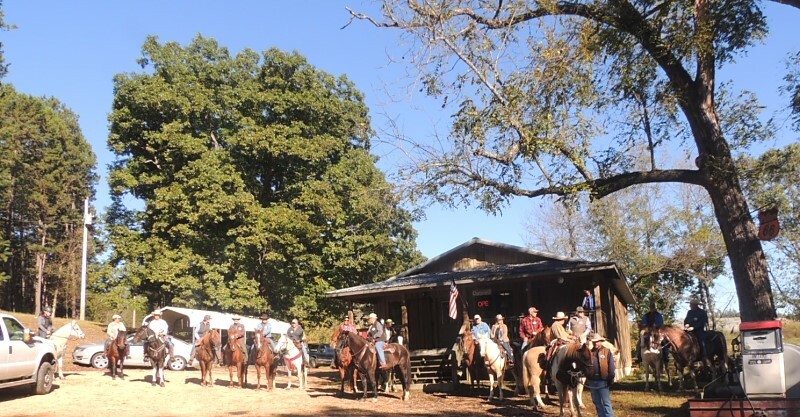 Wednesday turned out to be a perfect day for Bud Hutchison’s Fall Champion Trail Ride. 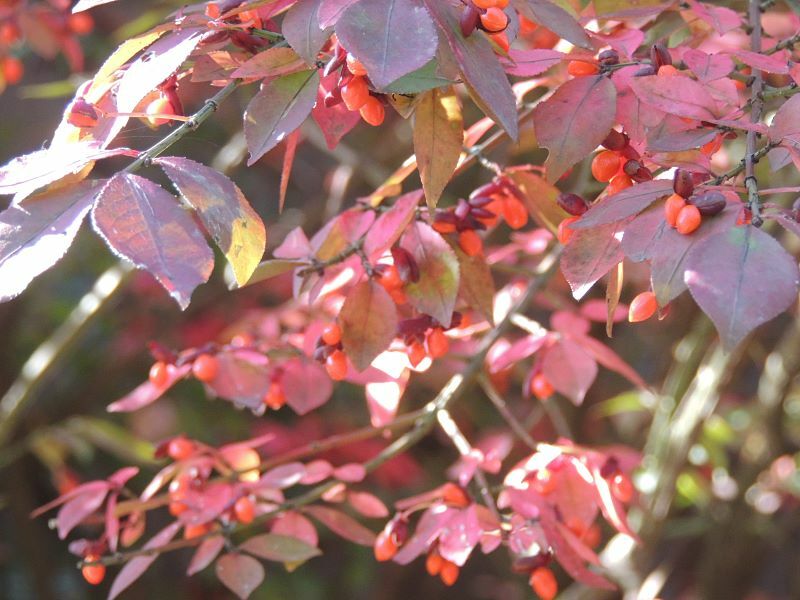 The previous days of chilly, dreary, damp and drab gave way to sparkling sun. By ten in the morning the Square was packed with horse trailers and trucks with several parked out along the road. Andrew Hardin did his homework, assigned by Wilma, to get all the riders’ names and the names of their mounts. There were twenty one riders and a number of onlookers who just like to come out to see the beautiful horses and the nice people who ride them. Wilma would have had them lined up tight and in order, but since she was not there with her great organization skills, the photograph may not be up to her historic high quality. Still, the fun was out on the trail. A number of the party made a short trip of it and came back to Champion for lunch. The group taking their lunch out on the Shannon ranch had some excitement when one rider found a nest of yellow jackets while tying her horse to a tree. The horse reared and bucked and knocked the rider to the ground. She was lucky, they said, not to have been trampled. Both she and the horse had several yellow jacket bites. It is still dangerous out on the dusty trail. They all made it back to the Historic Emporium for ice cream on the veranda. Bud would have had a great time. We finally learned the names of the mysterious cowboys from Mountain Grove. The tall one with the big hat made the whole ride. The good looking one had a pulled muscle and just came out to see his friend and the others off on their big adventure. There are 43 students (prekindergarten through the second grade) in Skyline who want to go to The Wonders of Wildlife over in Springfield. Their trip will take place sometime during the spring. It will be a valuable learning experience for them and it will be an expensive trip, but they are excited about going and have already been working on a fund raising project. If you want to help out, contact Ms. Helen at Skyline (417-683-4874). They have a basket of fall goodies and a beautiful fall wreath that they will be awarding to a lucky ticket holder at the Halloween program that Wednesday morning. The nice folks at Meadowbrook Natural Foods in Mountain Grove shared some YumEarth Organic Pops for the giveaway on the parking lot at the school between 2 and 3 on Halloween. These lollipops have sugar, but not high-fructose sugar, and they are tart and tasty, but with no artificial colors. It is sweet to see local businesses engaged in support of our schools and helping our children learn about healthy choices. Meadowbrook joins all the business on the Champion Square in backing the kids who will soon be running the world. Get some tickets at Henson’s Downtown G & G. Help where you can. Up and over the hill! Thursday night was another enjoyable evening at the Vanzant Community Building. Corinne Rogers celebrated her 89th birthday with her friends and neighbors. Bonnie Rogers had had her party a couple of days before and she joined the chorus singing to Corinne. Up in Elmwood, Illinois, Champion Harley Krider celebrates his birthday on October 26th. Reports are that he is busy back in his routine, volunteering and helping people. What a Champion! His nephew-in-law, Brad Oglesby, shares the 26th as his birthday. Locally, Shala Clark, mother of a number of adorable Champion children, also enjoys that day as her own. Nicholas Georges is a second grade student at Skyline. His birthday is on October 28th. Royce Henson used to go to school at Champion. He lives in Springfield now, but makes it back to the country whenever he can. When he and Jody came down for the Pioneer Heritage Festival of the Ozarks a couple of weeks ago, their trip took them through Norwood where they were delayed for over an hour by a coal train stalled on the crossing. The finally turned back and came through Mansfield to Ava and then out to Chapel Grove—New Haven–for the event. They are an intrepid pair. Royce had his 80th birthday at Champion several years ago. The date is October 30th. The lovely Connie Lansdown also gets presents on that day—good ones, we hope. Skyline second grader, Addison Jeffrey, will also be getting birthday presents that day. Mrs. Curtis, Skyline’s illustrious Superintendent, has her birthday on October 31st. Felipe Heston, down in Austin, has always celebrated that day too. He thinks Halloween is the best day of the year for a birthday. Probably everyone thinks his own birthday is the best one. Many happy returns of the day to all you Champions! Happy Birthday! Roger Miller’s birthday was October 25, 1935. He passed away in 1992 and left the music world missing him. Among his many hits were “King of the Road,” “Dang Me,” “Chug-a –Lug,” and another great favorite: “You can’t roller skate in a buffalo herd, but you can be happy if you’ve a mind to. All you got to do is set your mind to it. Set your mind to it and do it, do it, do it…” in Champion—Looking on the Bright Side! A glorious day in the sunshine. 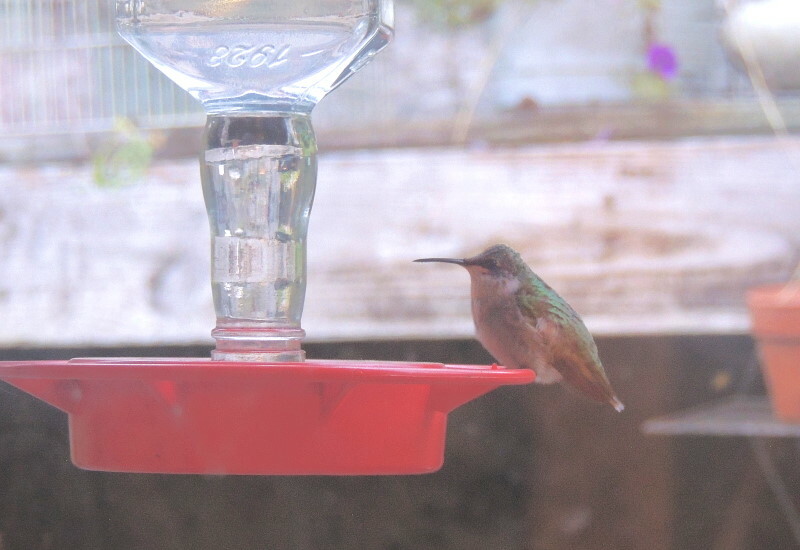 The last little hummingbird straggler. 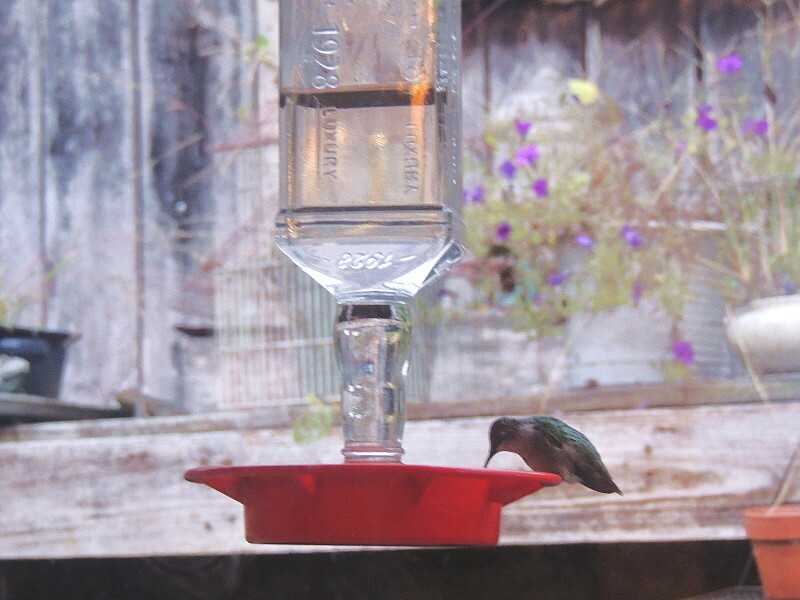 In mid-October one little female hummingbird makes her daily visit to a Champion feeder. Hummingbirds have an average life span of three years, though there are reports of some living to be more than nine years old. Maybe the old dawdler just does not feel like making the long trip to Mexico again. This time of the year has many an Old Champion happy to stay close to home. Winter is on the way and they have been busy getting the propane delivered, firewood in the shed, and doing safety inspections of the flue, the furnace and space heaters. The ash barrel had to be emptied ready for those hot ashes and coals and the last of the tender garden produce brought in. Perhaps there will be some lazy days ahead, but these are not those. Friends and family will be celebrating Champion grandson, Carson Cline, on the 18th. That is his birthday and Darlene Connor’s as well. The 19th is a great day for Skyline kindergarten student Wyatt Shannon. The late Betty Swain lived in Mansfield; she was an interesting person and an accomplished bridge player. Her birthday was October 20th. Carson’s uncle Marty Watts also celebrates that day. Randy Abbot did not get a chance to know Anna Henson, though they shared October 21st as their birthday. Randy is a hot pepper aficionado with an appreciation of big shaggy dogs. Locals have good memories and stories to tell about Anna and all her many years at the Champion Store. Donna Moskaly and Skyline 4th grader, Haylee Surface, celebrate on the 22nd. Esther Grace Ogelsby was born October 23, 2017. Her aunt Breauna Krider has the 24th as her day to party. Breauna will have much help to party as she is surrounded by admiring family and friends. Birthday celebrations are a chance to acknowledge each other. It turns out we can do that any day of the week! Esther Grace came by her name as an acknowledgement of friendship. Her mother grew up in Champion and was a frequent visitor in the home of Esther Wrinkles. They had a lasting friendship. Ms. Wrinkles passed away in 2013, but her many friends will be reminded of her through this little girl who is about to turn one. Champion! 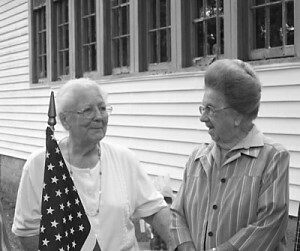 The lifetime friendship of Esther Wrinkles and Ruby Proctor. As the frost approached, a Champion brought in the Christmas cactus that was a gift from Esther. It had summered on her Vanzant front porch for years before it began to spend the summer on a Champion porch. While it was on Esther’s porch it was witness to the hilarity of the lady climbing through her own window, having locked her keys inside. One of her old friends brought that episode to mind recently. Combing back through the archives at www.championnews.us looking for the particulars of that event, it was a lovely surprise to see Esther with another of her dear friends, Ruby Proctor. They knew each other since childhood. They were baptized on the same day in Fox Creek. Anyone with such a friendship—a lifetime friendship, should count himself blessed. The last Friday of the month is the day we can expect the Douglas County Health Department Nurse to visit for morning blood pressure check for Champions. It is a great service to the area. The nurse will be at Skyline School on the first Tuesday of each month from 8:45 to 10:45 doing that test there. This next first Tuesday will be Election Day. It will be convenient for those folks who vote there at the Brushy Knob Church, to cross the road and get a reading of their vital signs after all the hoopla. The political advertisements on television are going to stop, hopefully, even if for just a little while, on November 7th. What a relief that will be to have the tension dialed back a notch. The last week has seen some old Champions retreating into literature—favorite books they have already read. Others have essentially crawled into a bed with side-rails, the remote in their hand. They just watch reruns. It may be that they do not remember each episode, but there will be hints along the way that let them know that nothing new or out of the ordinary is going to happen—nothing unexpected. They feel totally safe and comfortable, hearkening back to the good old days when a man’s word was his bond; when it was better to give than to receive; when we could love our enemies and empirical fact was not questioned, i.e. : fire—hot, ice—cold. Well, the weather is changing. We have to bring in fire wood, haul ashes and carry on with our daily lives. And should it occur that someone suggest he has your name on one of his millions of bullets and he is not worried about a civil war because the other side (presumably your side) does not believe in guns, it is your obligation to rare back and laugh in his face. Slap your thigh and do some guffawing, chortling, and howling. Go ahead and crack up. The rhetoric is so exaggerated that it is comical. Take a humorous, happy walk to the polls. Vote. Then come home and peel some potatoes and get on with what comes next. Meanwhile, people in Florida, Georgia, South Carolina, and North Carolina all the way up to Virginia are going to be a long time getting over Hurricane Michael that tore through there on short notice. We have troubles, worries, fears and doubts about all kinds of things, but we have our homes, our families are safe and we have the prospect of a future that we have planned. The world over, there are griefs and unimaginable hardships that people endure. A little gratitude for our good fortune is timely. Many people from this part of the world are traveling east to assist our countrymen. Champions! Before this is in ink, Andrew Hardin will have led off Bud Hutchinson’s Fall Trail Ride. Horsemen and women will have met up on the Champion Square to pose for Wilma’s photographs before taking off on an adventure down Fox Creek Road and around the Shannon Ranch, ambling back in for ice cream at the Historic Emporium in the early afternoon. 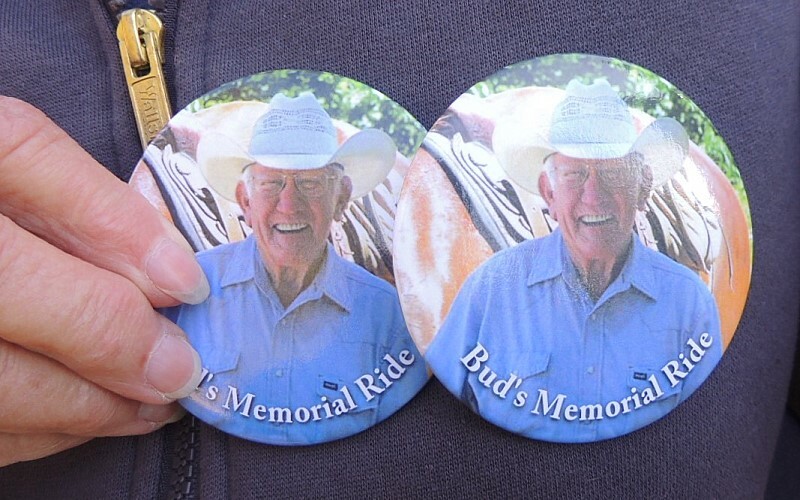 Probably every trail rider in this part of the country knew Bud. They will be telling stories and remembering our great old friend every time they mount up or just get together for ice cream. They might sing that Gene Autry song’ “Ridin’ the range once more / Totin’ my old 44 / Where you sleep out every night / And the only law is right / Back in the saddle again” in Champion—Looking on the Bright Side! Just a little shower for just a few minutes. 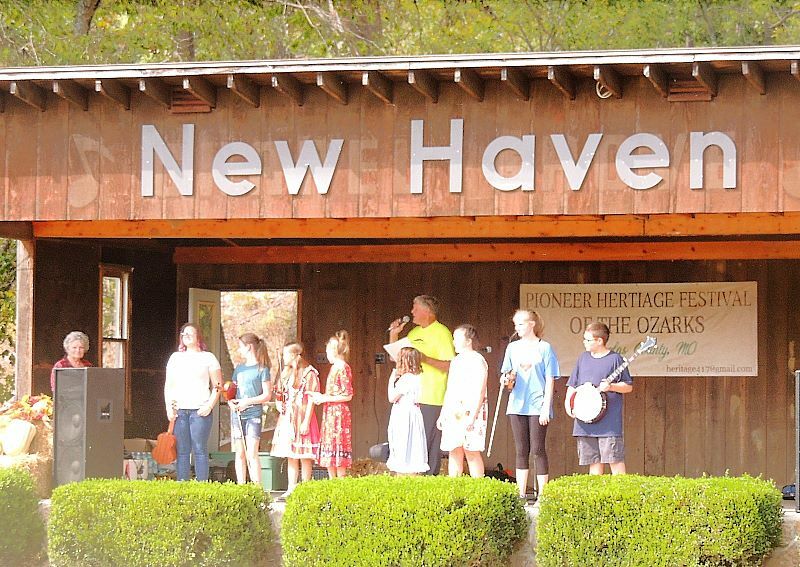 The Pioneer Heritage Festival of the Ozarks has come and gone again for another year. Saturday was a very warm day and Sunday had a mixture of weather including those hard showers in the sunshine and then some steamy hot episodes mixed with wonderful cool breezes and then another little shower. 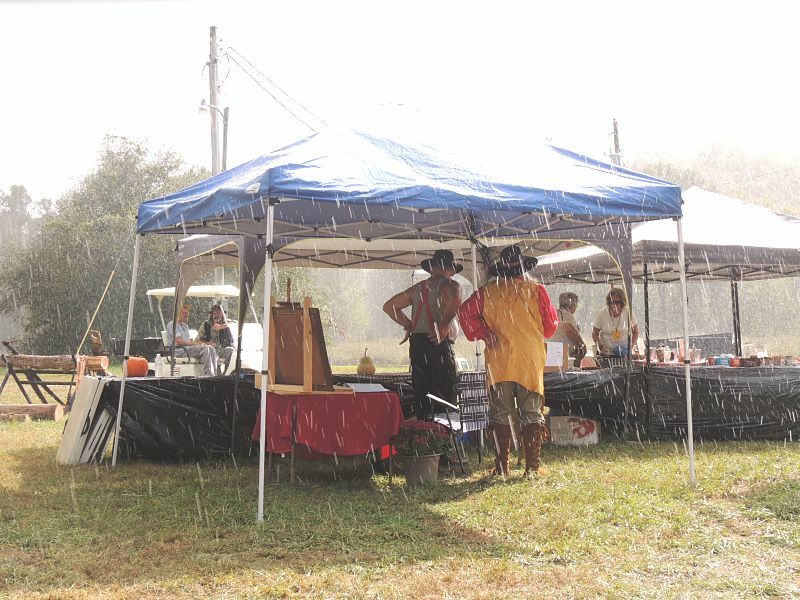 Attendance was down a little on Sunday because of the forecast, but those who attended had a great time. In addition to all the fascinating demonstrators and vendors, the food and music were wonderful. One of the many highlights on the stage was a youth talent show where eight youngsters under the age of 14 shared their musical gifts with the crowd. It is a gift to the future to have young people engaged with the music tradition of the area. As this festival grows in size and scope over the years, hopes are that these kids will keep coming back to show us their progress. This was the second of what will hopefully be many more Pioneer Heritage Festivals. Our Ozarks communities can appreciate the hard work of all those volunteers who will continue to make this great event happen. Being taught to avoid talking about politics and religion has led to a lack of understanding of politics and religion. What we should have been taught was how to have a civil conversation about a difficult topic. It is said that sometimes people hold a core belief that is very strong. When they are presented with evidence that works against that belief, the new evidence cannot be accepted. It creates an extremely uncomfortable feeling, called cognitive dissonance. Because it is so important to protect the core belief, they will rationalize, ignore and even deny anything that does not fit their fundamental certainty and perhaps they may begin to hate those who contradict them. Current events have many people stressed. The common stress relievers–music, laughter and blessing-counting are recommended. Civil discourse is always welcome outside on the wide veranda of the Historic Emporium on the north side of the Square or over on the wide, wild, wooly banks of Auld Fox Creek. Champion!—Looking on the Bright Side! Lucile Gayman surrounded by her family. Granddaughters rock! One Old Champion Grannie says, “They rule!” That being said, Lucile Gayman hit the jackpot. Her three granddaughters, Debra, Loretta and Elva, hosted a lovely party to celebrate her 90th birthday on Saturday. The Vanzant Community Building was full of floral decorations, friends and family—forty four strong. It is a beautiful thing to see a big family being close and enjoying each other’s company. Everyone is not so lucky. 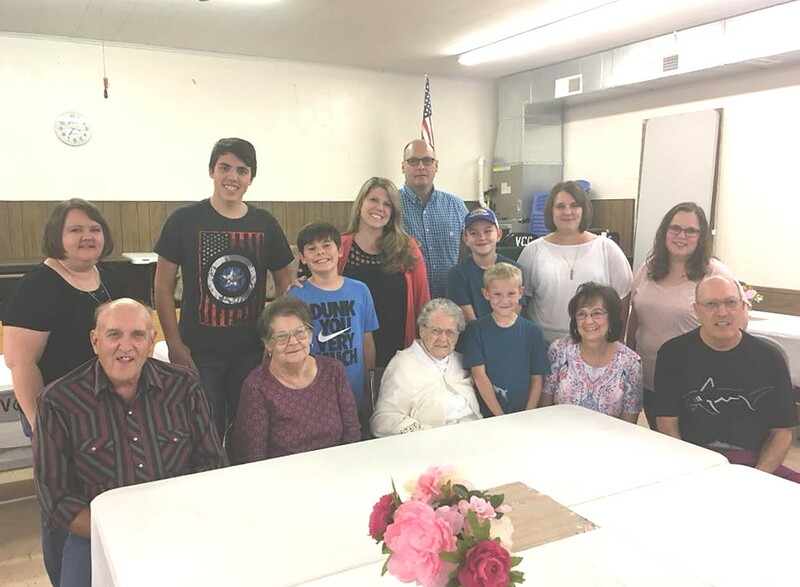 Lucile has two daughters, three granddaughters, a grandson, and four great grandsons. There were spouses, cousins, sisters and brothers-in-law and a number of the many friends that Lucile has gathered in the few short years she has lived in this part of the world. This part of the world is improved by Lucile as our friendliness quotient is way up and our appreciation of granddaughters could not be overstated. Once again, the Prominent Champion received the Champion post card with the missive, “Remember, if you act like you are having a good time, pretty soon you will forget you are acting and you will really be having a good time.” It is an ever-relevant message and sent to the fine man on the completion of his annual trip around the sun on October 1st. Former President Jimmy Carter turned 94 on the first. That happens to be the 6th birthday of Melanie Hall and the 91st birthday of Bonnie Brixey Mullen’s sweetheart, Pete, over there in Kansas. Jana Brixey also celebrates on the first. William Tucker Clark was born October 2, 2015. Mahatma Gandhi was born October 2, 1869. Tucker’s grandpa has the 3rd as his birthday and those charming Upshaw sisters, Fae and Kaye, celebrate on the 4th as does Evan Homer who is now 5 years old. Skyline VFD Auxiliary President, Betty Dye, shares her birthday on the 7th with a Liberal Champion up in Springfield, Vicki Trippe. On Saturday, down in Austin, Willie Nelson sang a new song. He said to take it home and spread it around, so, with his permission, here are the words and here is a link to the video if you want to sing along: https://www.youtube.com/watch?v=ssVO5qnyQss “If you don’t like who’s in there, vote ‘em out / that’s what Election Day is all about / and the biggest gun we got is called the ballot box / if you don’t like who’s in there, vote ‘em out / vote ‘em out / and when they’re gone we’ll sing and dance and shout / and we’ll bring some new ones in and start the show again / but if you don’t like who’s in there, vote ‘em out / vote ‘em out / and if it’s a bunch of clowns you’ve voted in, Election Day is coming round again / and if you don’t like who’s in there, vote ‘em out.” These are tumultuous political times and this song sounds suitable for every political persuasion in the glorious participatory democracy we all cherish. Thanks, Willie. Meanwhile, down in Austin, Alexandra called her Champion grandparents with a brilliant report on her first fiddle gig. She is 12 with a fine fiddling future ahead. One day she may fiddle with Cousin Corinne and Uncle Sam! Brava! 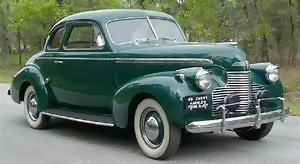 In 1973, everything that one Old Champion couple had, including two fine sons, fit into or on a 1940 Chevy coupe. It is amazing what they have collected since that time. Now days the accumulation is staggering and the need to reduce the mass has become apparent. Give away, throw away, put way—the mantra of the overly encumbered. Young people, it is said, have very little interest in our old stuff—even if those two pieces of amber colored stemware are genuine depression glass given to a couple who were married in 1937. That set of nesting mixing bowls, the yellow one, green one, red one, blue one—you see them in good flea markets, but these came from a Grandmother and are more precious. Granddaddy used the blue one for his cornbread and sweet milk. Then there is all the art, the family photos, the nicknacks, the books, the records, 30 years of National Geographic. Where does it all go? That is a Champion question. Answer that question or ask any at champion@championnews.us. Those handsome, mysterious cowboys were back in Champion on Wednesday. 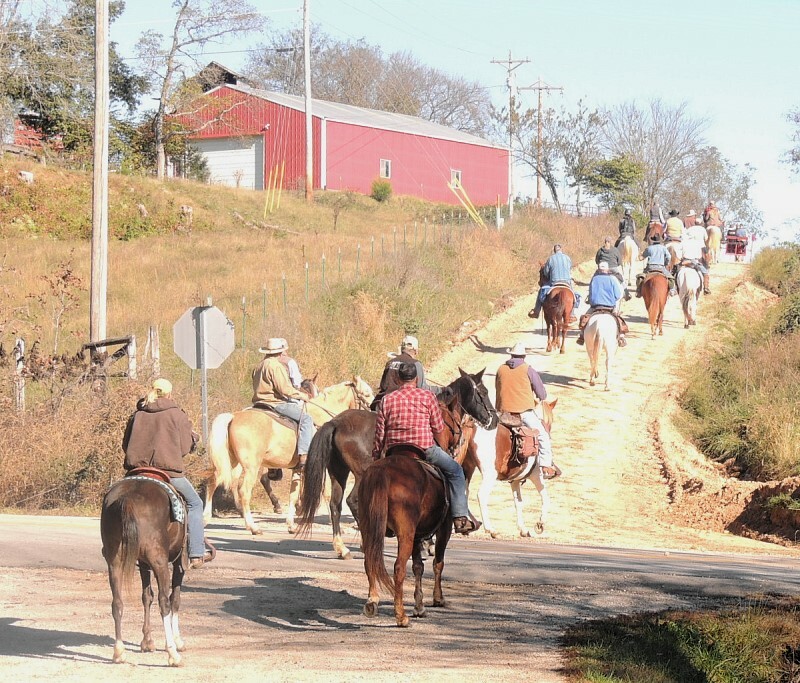 They missed the wagon train last week (see the pictures on last week’s post at www.championnews.us) but they will surely be back on Wednesday the 17th when Bud Hutchison’s Fall Trail Ride will head-up on the Square about 10:00 a.m. If Wilma comes to take pictures, she will find out their names and the names of their horses and likely any number of other things about them while she gets them lined up and lined out. 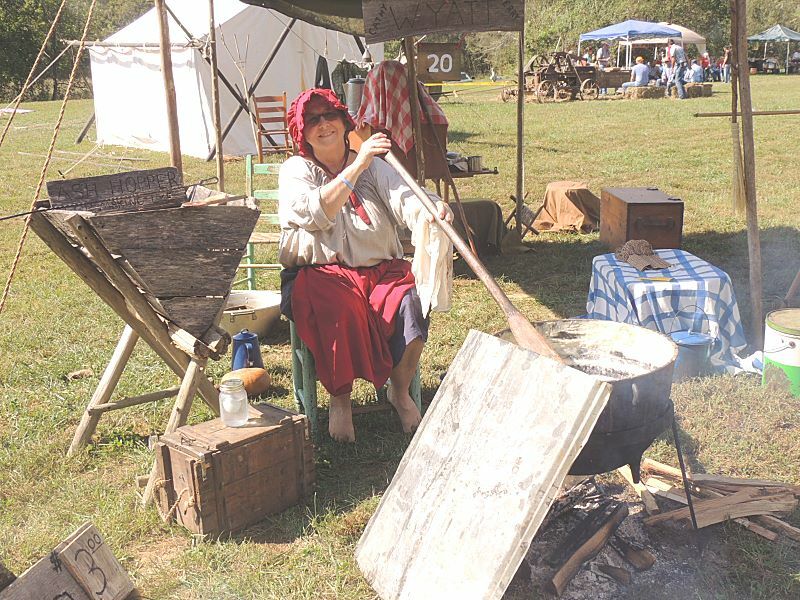 It will be worth their while if they make the trip out to Chapel Grove this Saturday and Sunday for the second annual Pioneer Heritage Festival of the Ozarks—10:00 a.m. to 5:00 p.m. each day. There is a great music line up for both days. There will be lots of good food, many exhibitors demonstrating pioneer skills and interesting, educational activities for the whole family. Sherry Bennett is the person to contact if you are a young person (16 or younger) who would like to participate in the acoustic instrument talent show. She will get you on the roster. Her number is 417-683-4414. This is going to be another fine event. Butch Stone has provided an incredible handcrafted bow for the raffle and the Douglas County Flint Nappers will be showing you how it is done. The courageous folks who settled this part of the country back before the turn of the last century had to know what they were doing. They were Champions—Looking on the Bright Side!